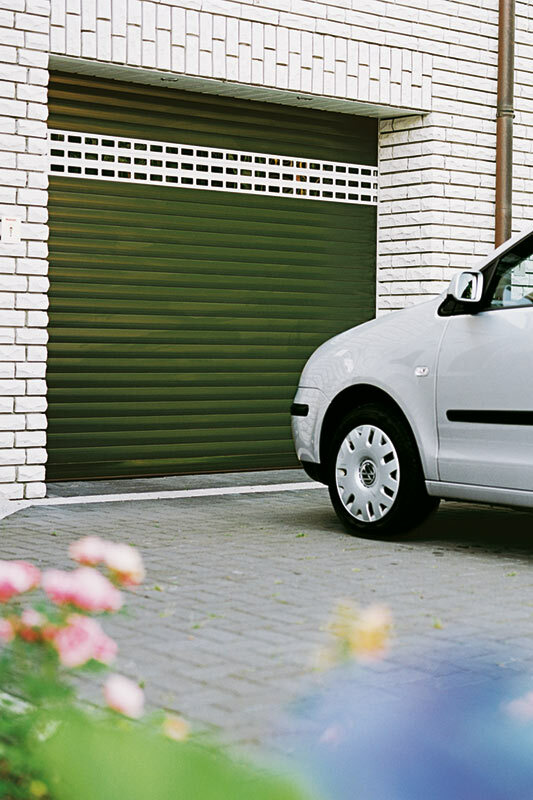 Our garage doors don’t swing outwards, are made of premium-quality aluminium and give you plenty of room for manoeuvre. 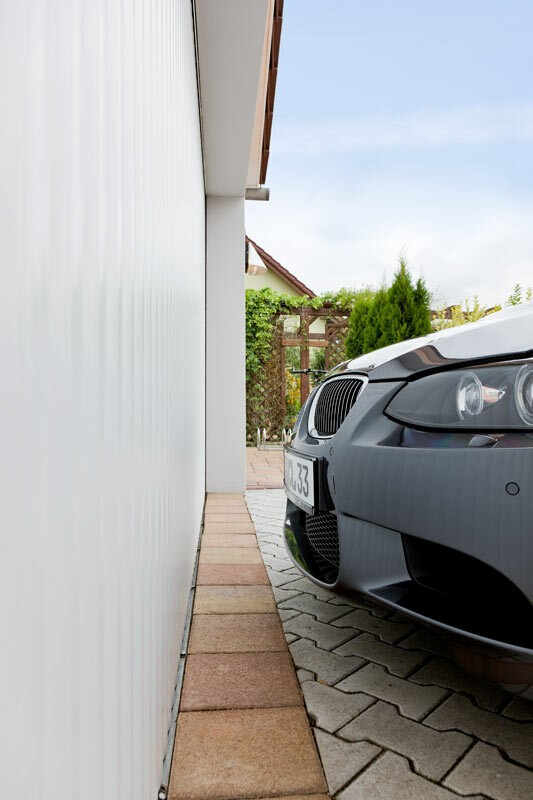 Your car is durably protected and you gain space both inside and in front of your garage. 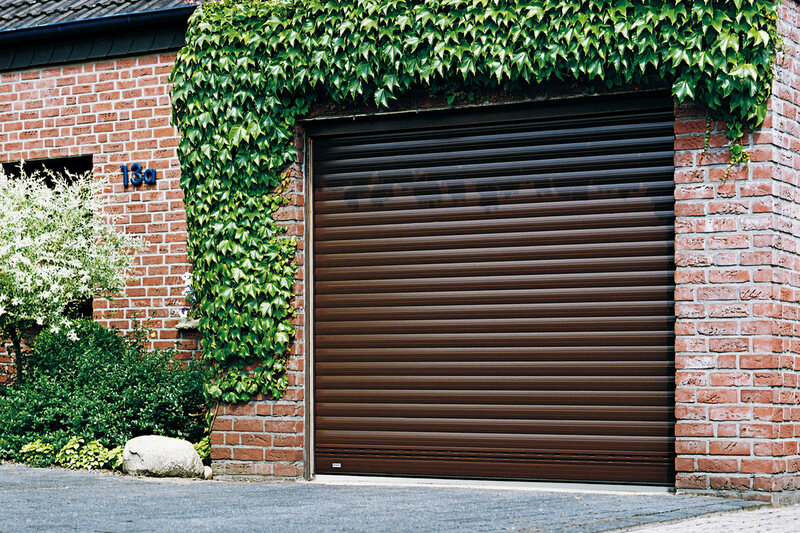 Whether you have sporty low ceilings or particularly wide garage doorways, our door systems are always smooth-running and easy to operate. 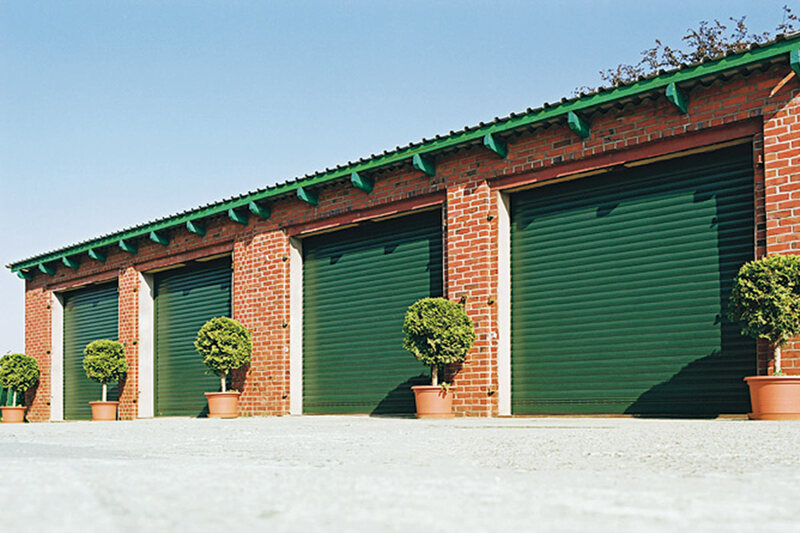 Overhead doors, lateral-running doors or boxed roller doors: whatever works best for you. 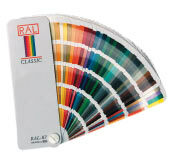 The diverse design options and the wide selection of colours give you maximum design freedom. 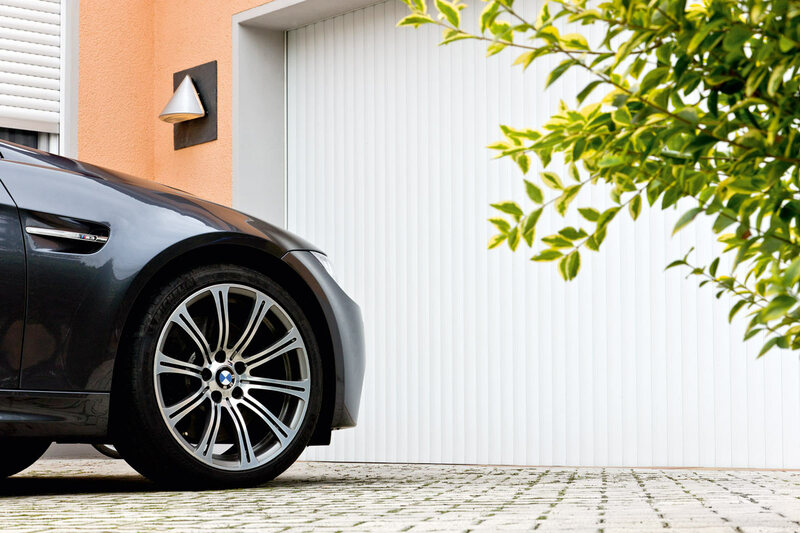 Intelligent details and the finest materials ensure functional reliability and long-lasting convenience. 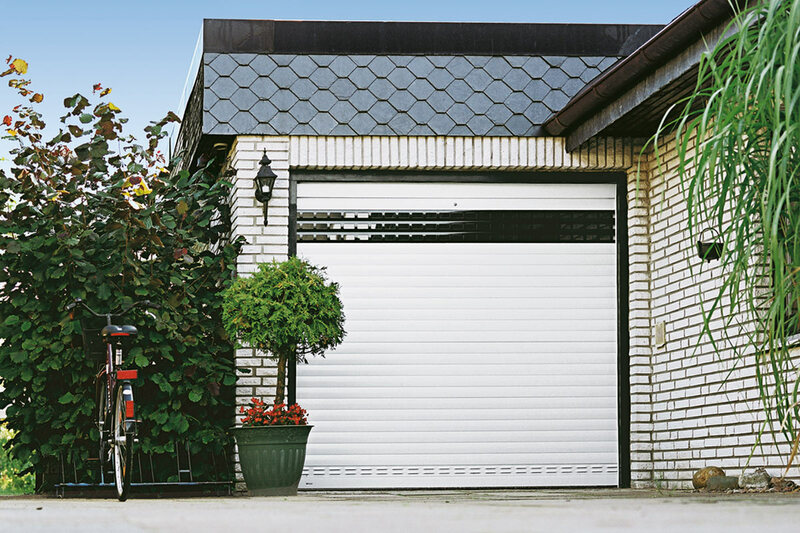 Our garage doors are produced from premium-quality, solid aluminium. This makes them light, sturdy and durable. 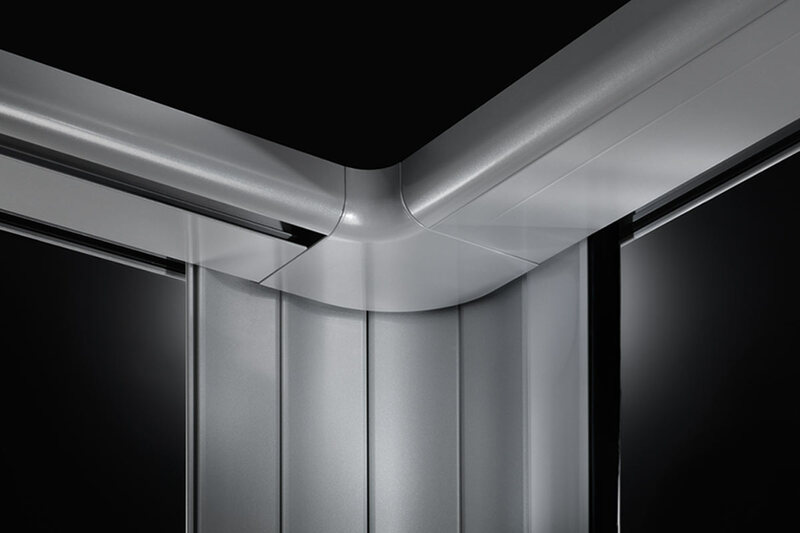 Because aluminium allows great precision in the manufacturing process, our doors always run quietly and precisely. 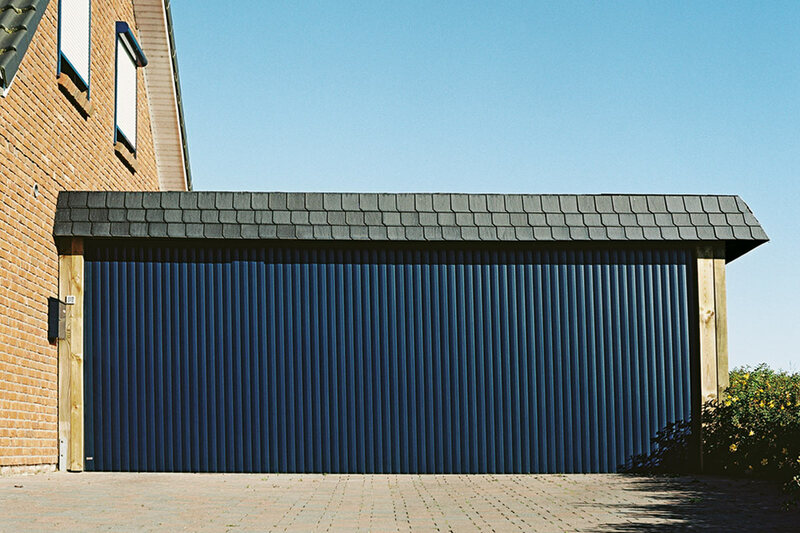 Aluminium owes its durability to the fact it is largely resistant to corrosion. Our thick-coat stove enamelling also means it never needs repainting. 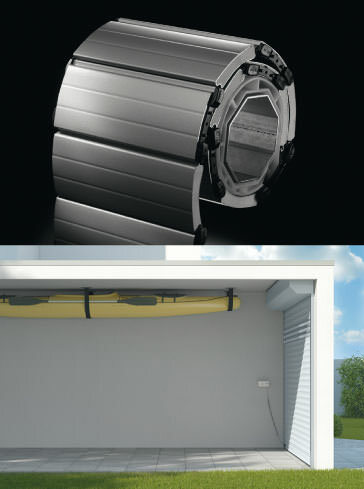 And because aluminium retains its shape both in hot and cold conditions, your can enjoy these advantages all the time. 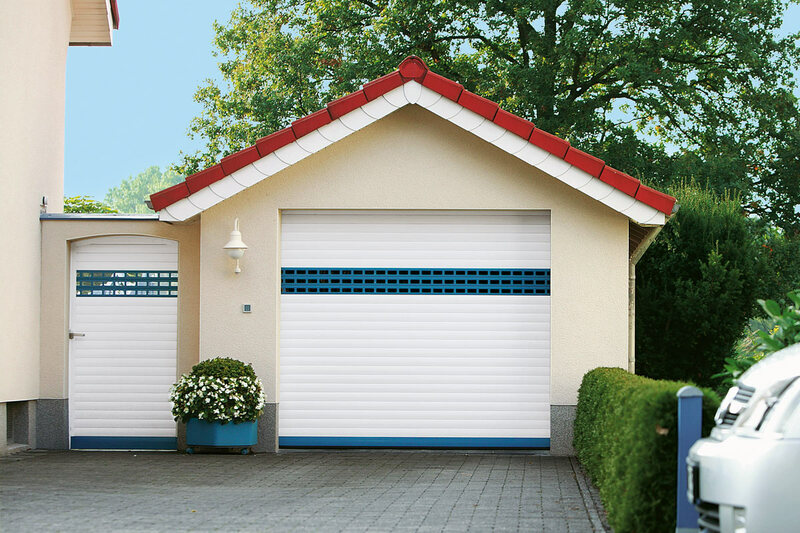 All Alulux garage doors are fitted with a quiet motor as standard, opening and closing your door reliably. 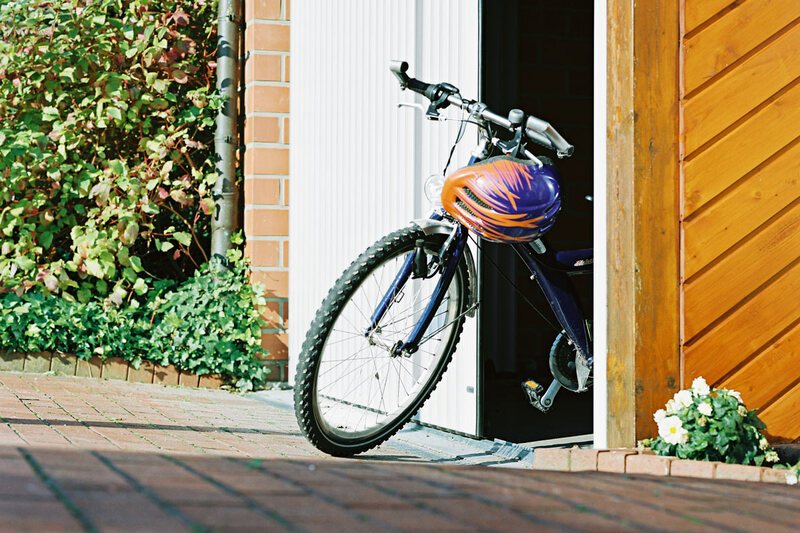 The motor foils break-in attempts with its powerful integrated anti-opening lock. 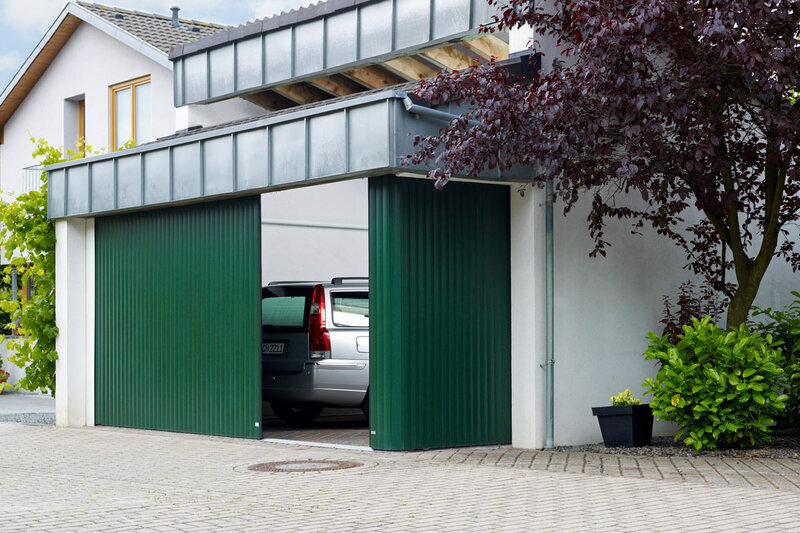 Because our garage doors don’t swing outwards, you gain the maximum space in front of your garage. 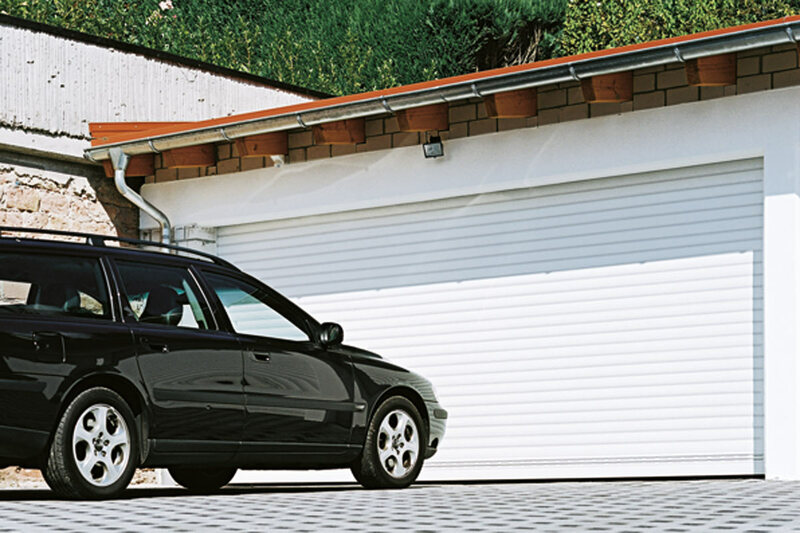 So you can drive your car right up to the door. 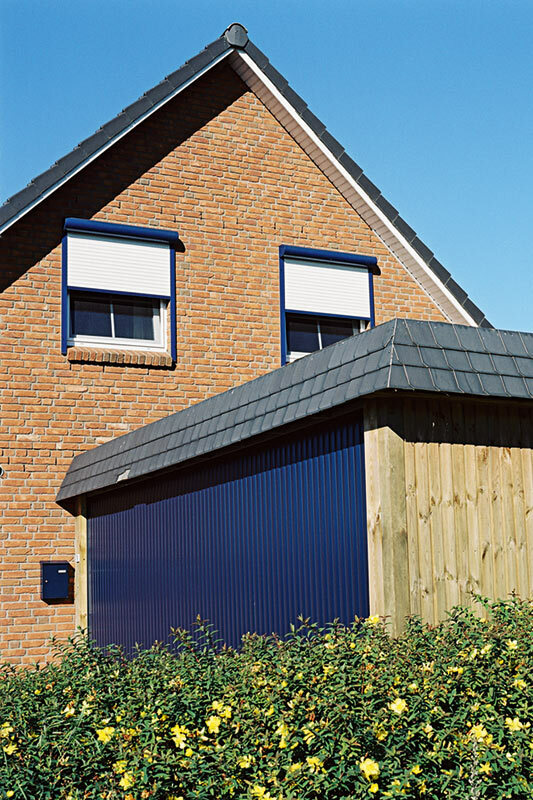 And you don’t need to worry about damage resulting from the door swinging outwards. 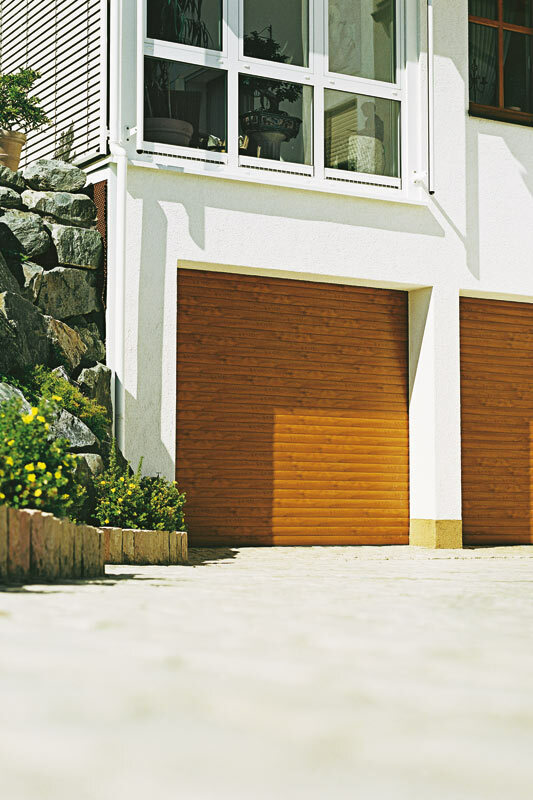 Our garage doors are all TÜV-certified and are manufactured according to current European standards. This includes a conformity declaration, CE marking, test book and a unique nameplate. Certified quality you can rely on. 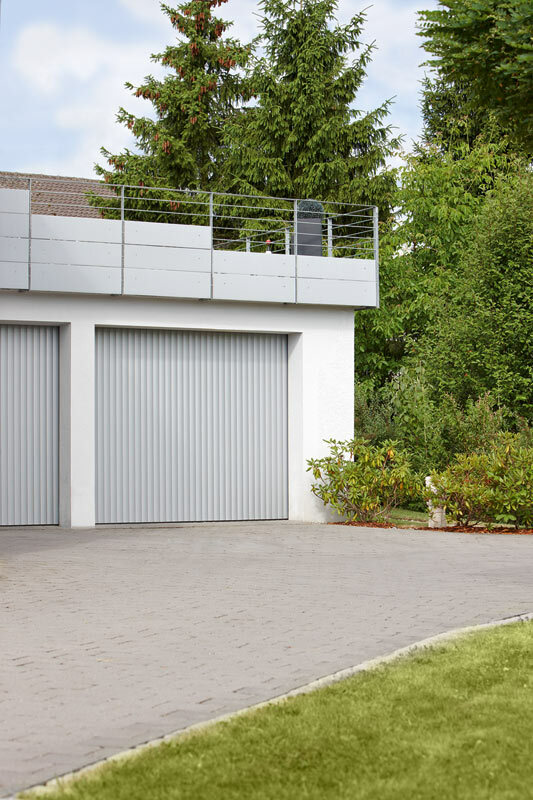 Our garage doors are bespoke and are manufactured to the required dimensions, ensuring your door works absolutely perfectly for your garage. 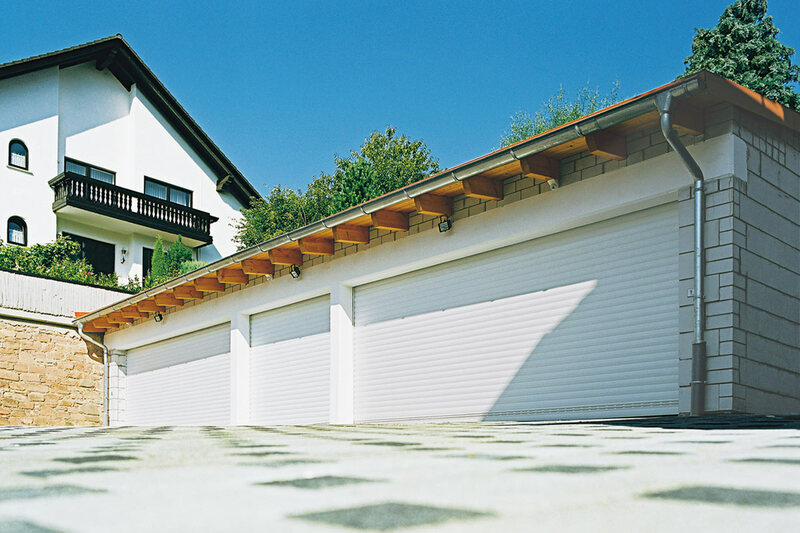 Thanks to their customised production, our garage doors really are suitable for any installation situation. 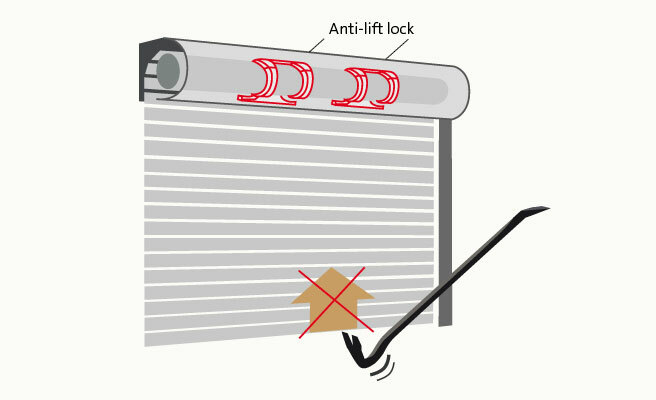 The anti-drop device fitted as standard (also known as a safety brake) in our Resident roller door registers when the door curtain closes too quickly in the event of a fault and stops the process electronically. 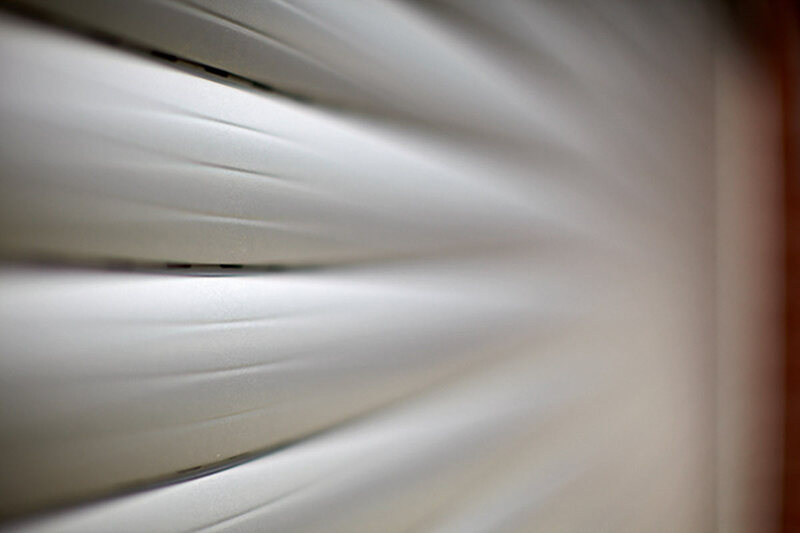 The steel shaft around which the curtain is wound is immediately brought to a stop mechanically. Sensors detect when there is something in the way in plenty of time – whether it’s children, animals, objects or anything else. 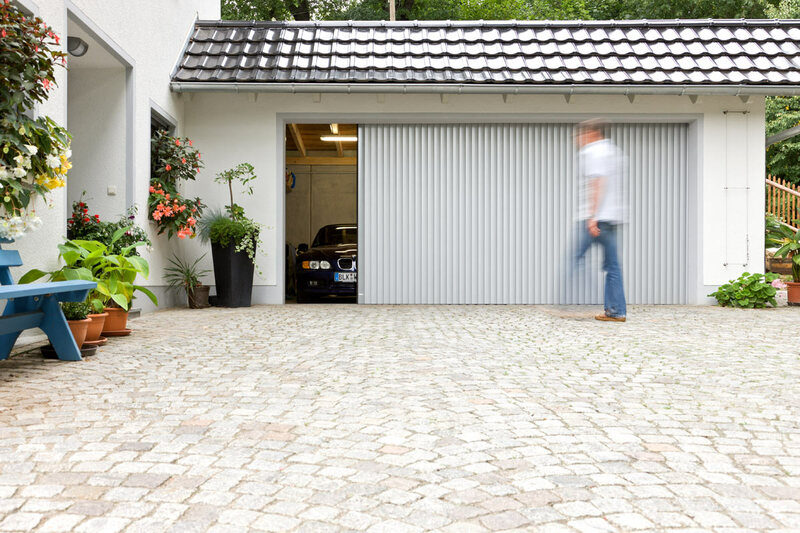 If necessary, the garage door will automatically immediately stop closing. 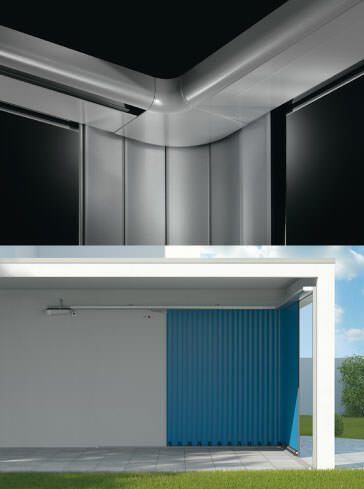 Obstacle detection is fitted as standard in the Detolux overhead door and the Vertico lateral-running door. 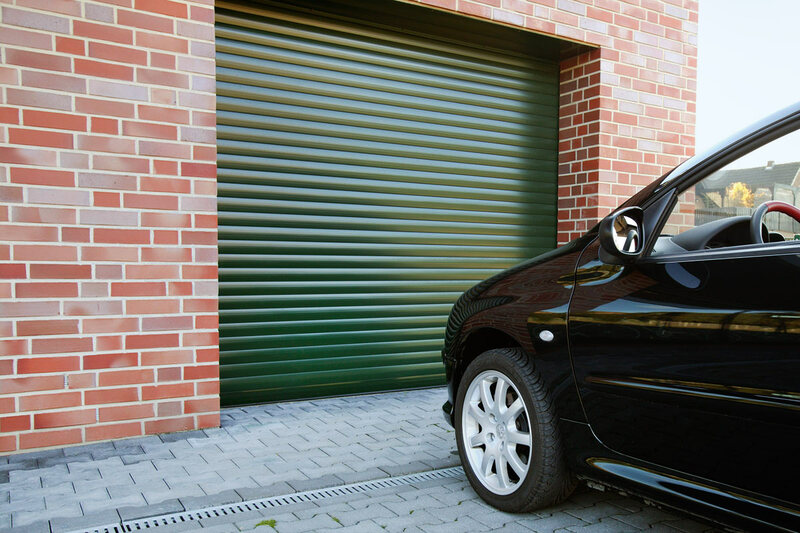 The Resident roller door can be fitted with it as an optional extra. 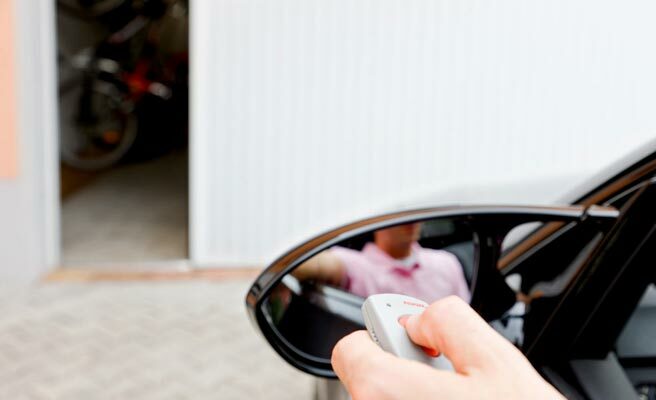 All it takes is light press with the finger and the garage is opened and closed automatically. 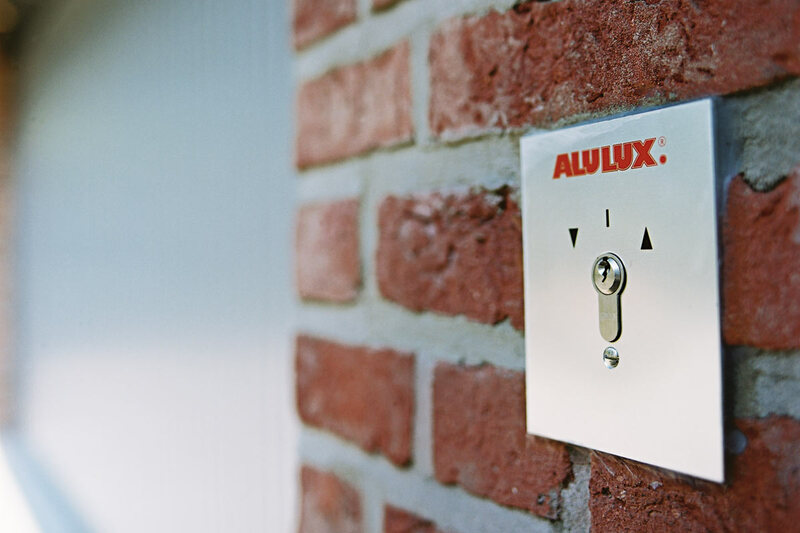 Every Alulux garage door is supplied with a convenient radio-remote control. A second remote control can be obtained at any time. 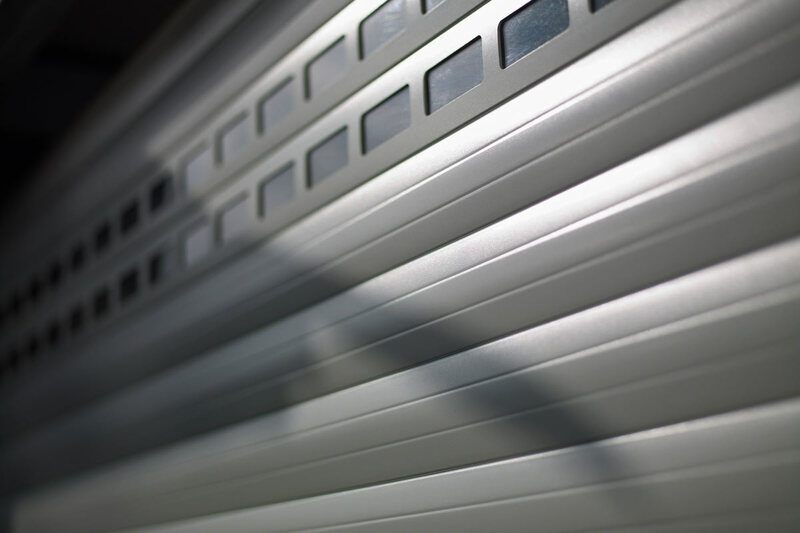 Our silent-running system (LLS) ensures ultra-quiet opening and closing of your garage door. 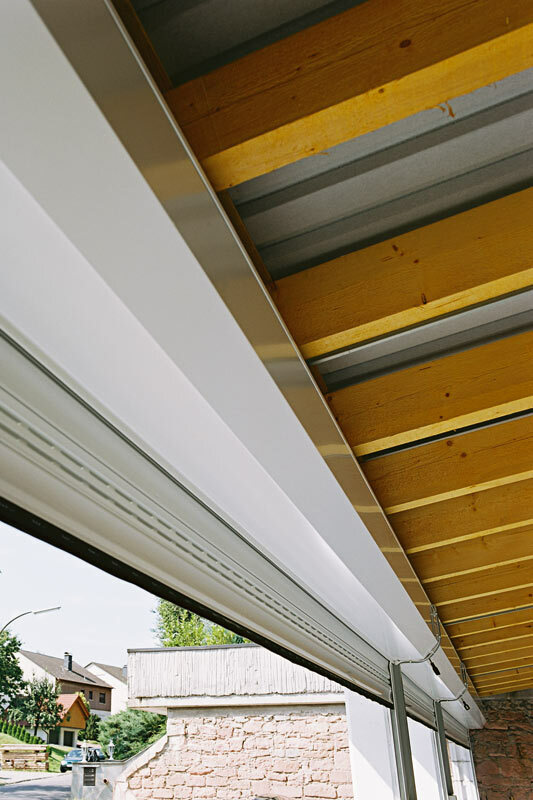 Because the Detolux overhead door and the Vertico lateral-running door are not moved stiffly but are guided using a noise-reducing roller system as standard. 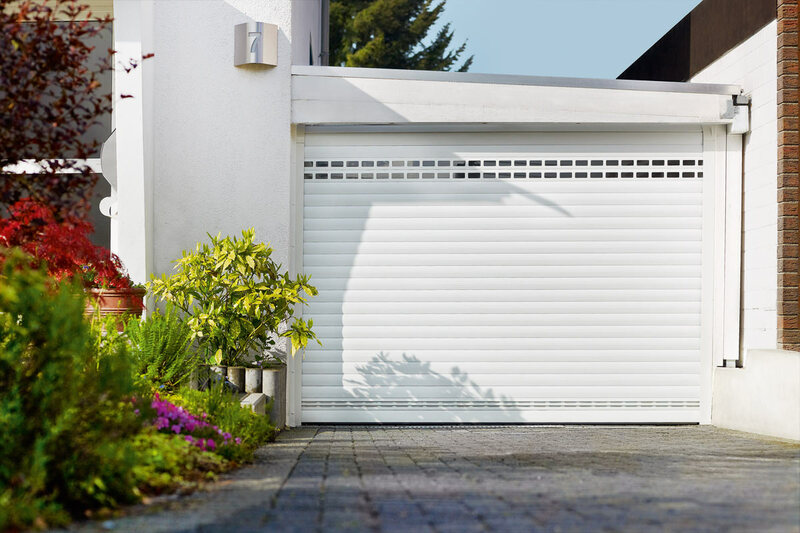 This minimises friction and vibrations are minimised and the garage door stays on track steadily. 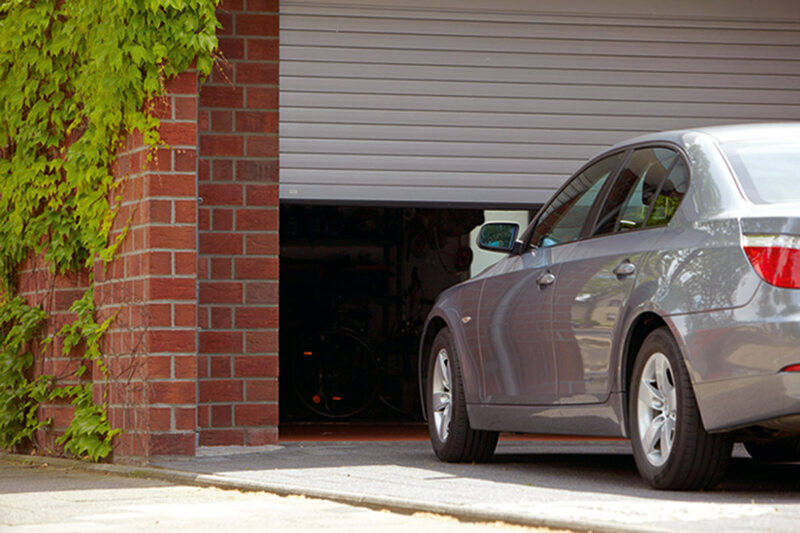 If at any point the power supply to the garage door motor is cut off, our doors can still be opened from the inside. 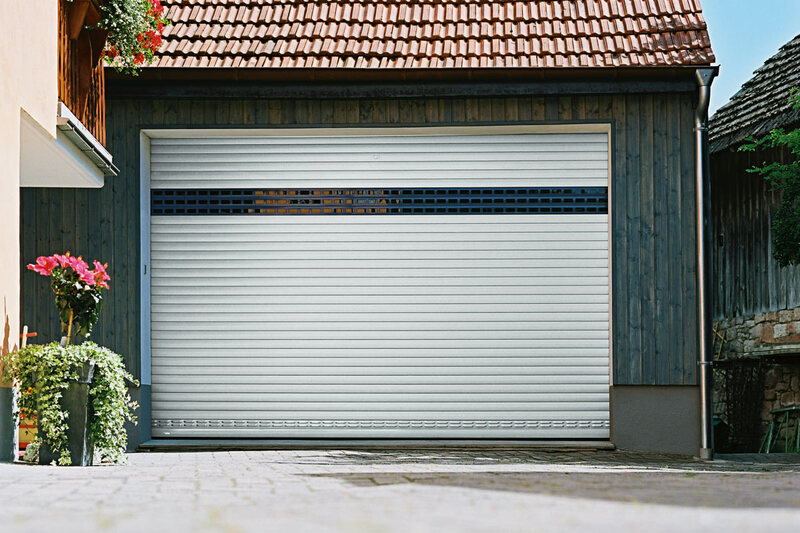 If your garage doesn’t have another way out, this emergency unlock feature is even required by EU standards. 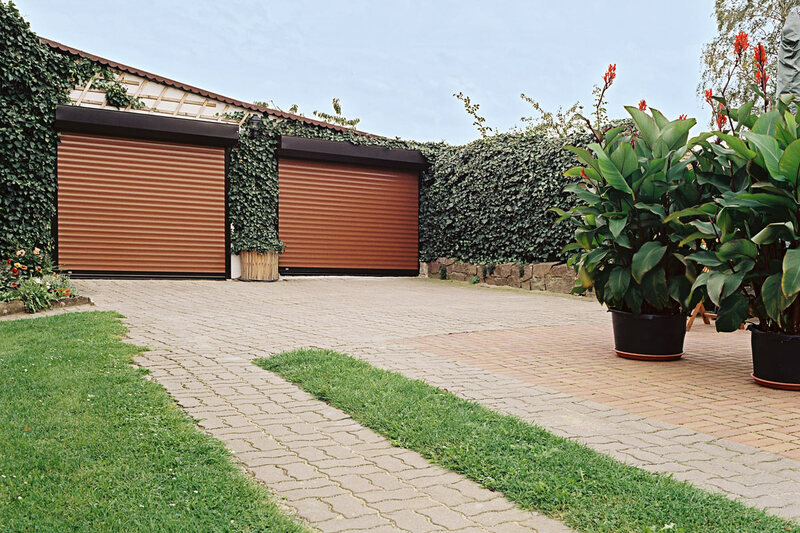 Our garage doors come with this feature as standard. 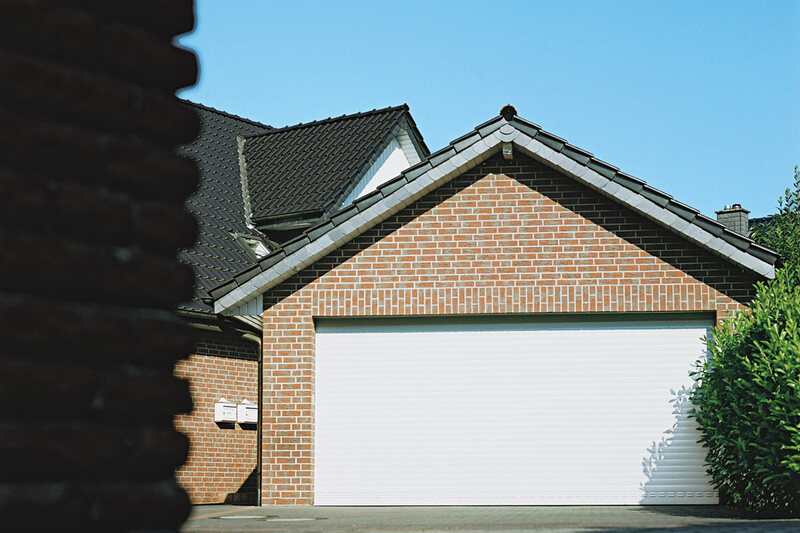 If required, we will also fit your garage door with a numeric code sensor. 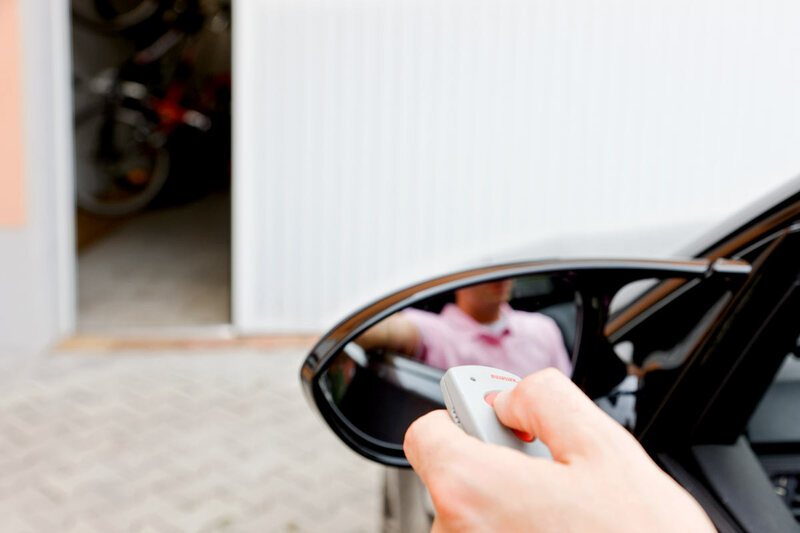 If you ever find you don’t have the radio-remote control to hand that is supplied as standard, you can open and close your garage door by entering a personal PIN code. 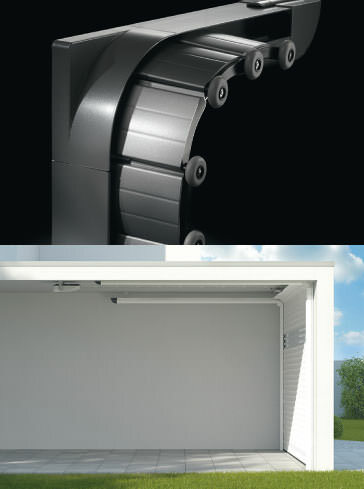 Detolux can be used with very low garages and various roof pitches. It runs very quietly on rollers along the ceiling. 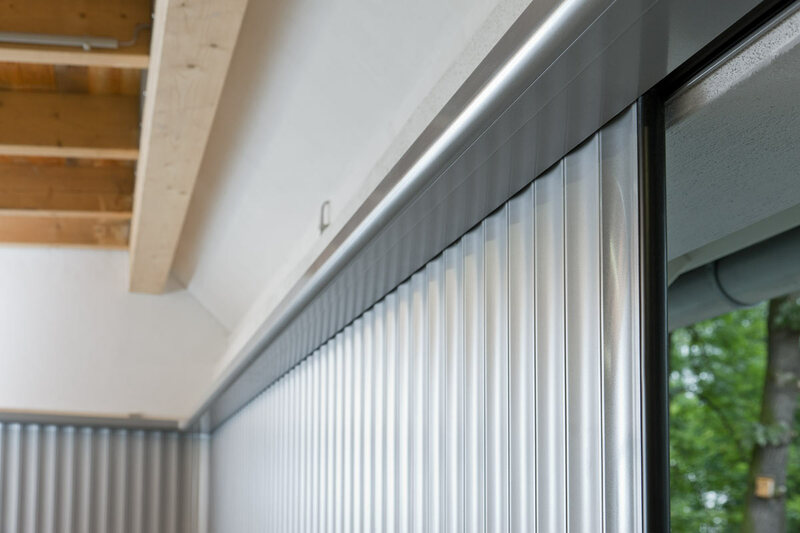 The walls of your garage are kept completely free – for shelves, for example. 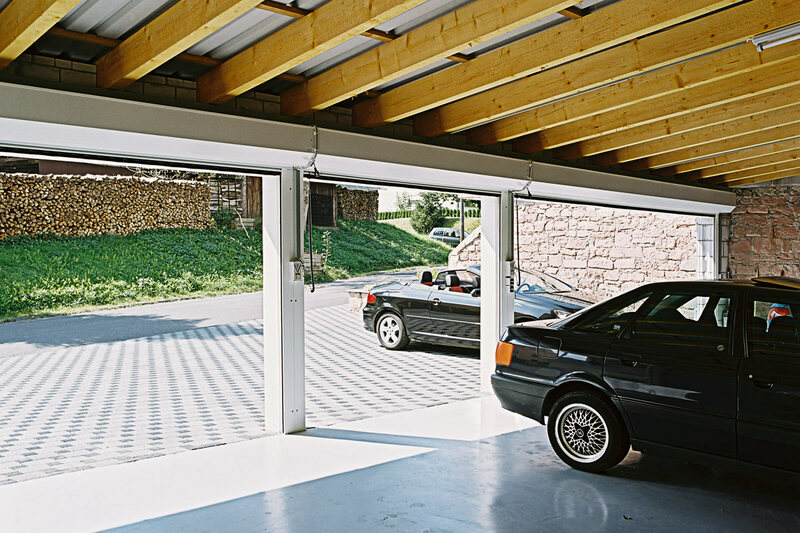 Resident leaves the walls and ceiling of your garage free, ensuring maximum space gain. 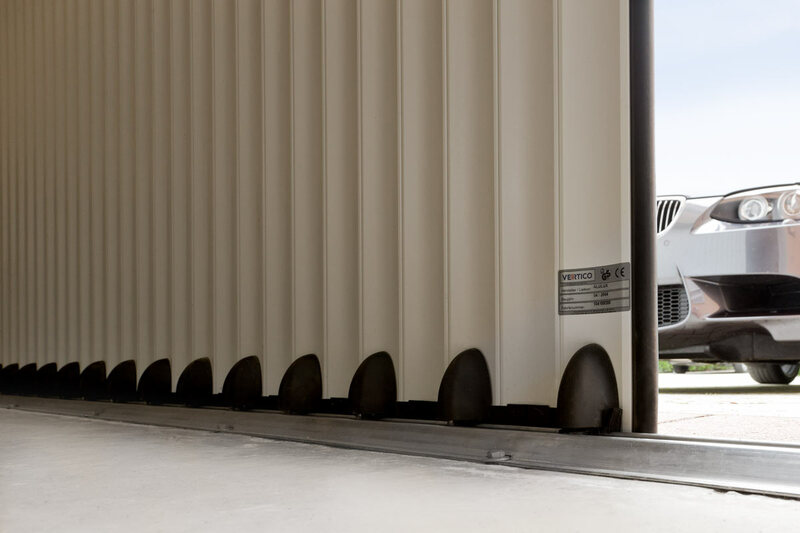 When it opens, the premium roller door is parked in the enclosed aluminium box – protected from dirt, dust and damage. 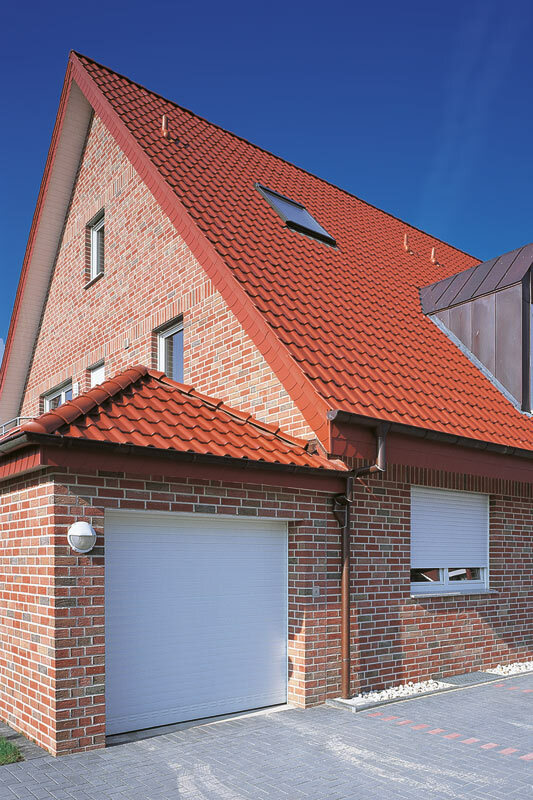 Vertico is the adaptable of the garage door options – suitable for virtually any structural conditions. 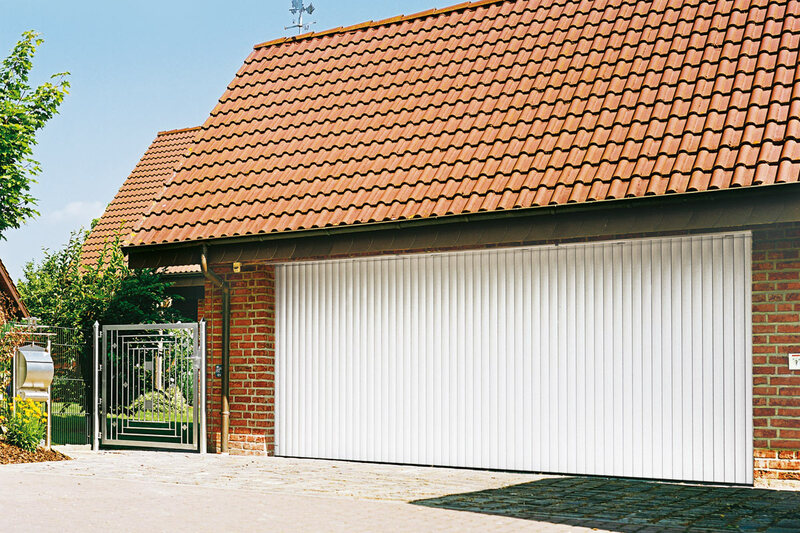 Whether it’s a single or a double door, programmable openings widths (door effect and gate effect) provide a particularly high level of convenience. 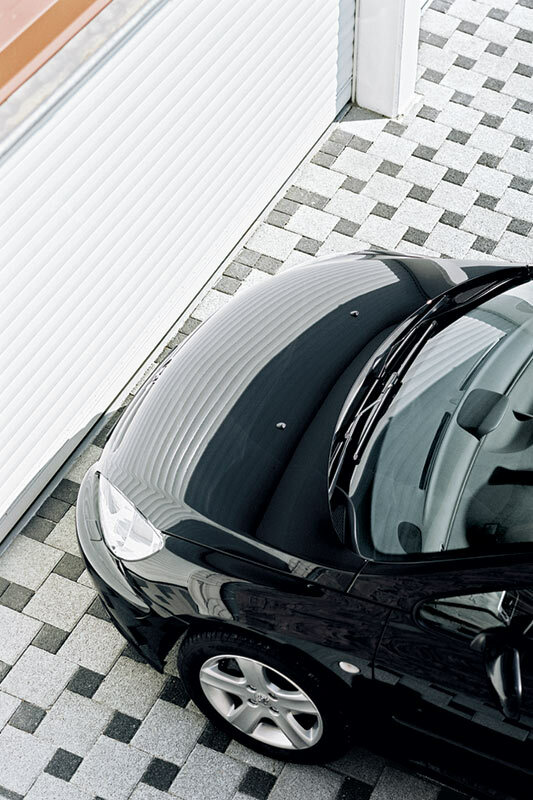 Qompact door is a complete system that enhances safety and security for parking facilities and shop windows. 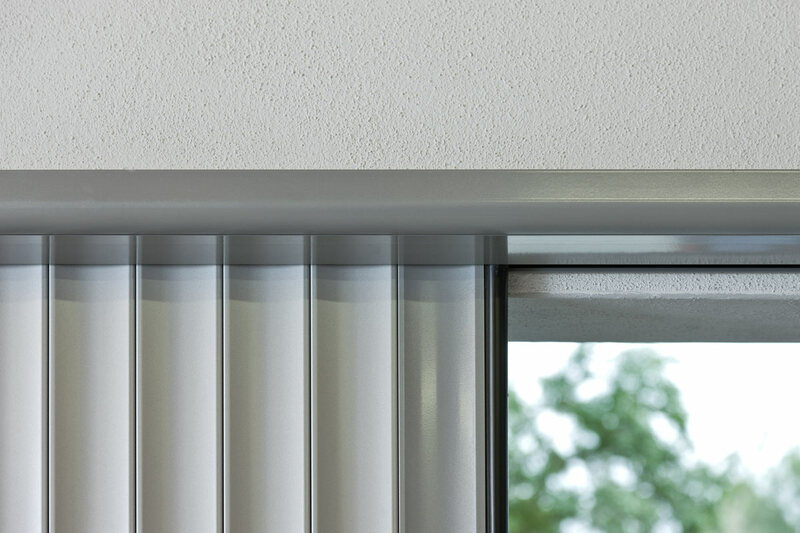 Increased burglar resistance due to extruded system in Alulux quality. 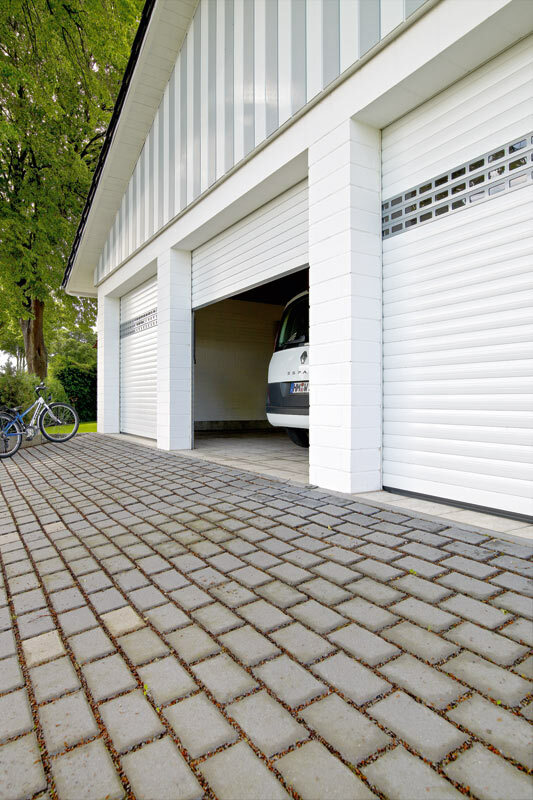 Our garage doors are fitted with obstacle detection and anti-drop devices/safety brakes as standard, preventing material damage and personal injury. 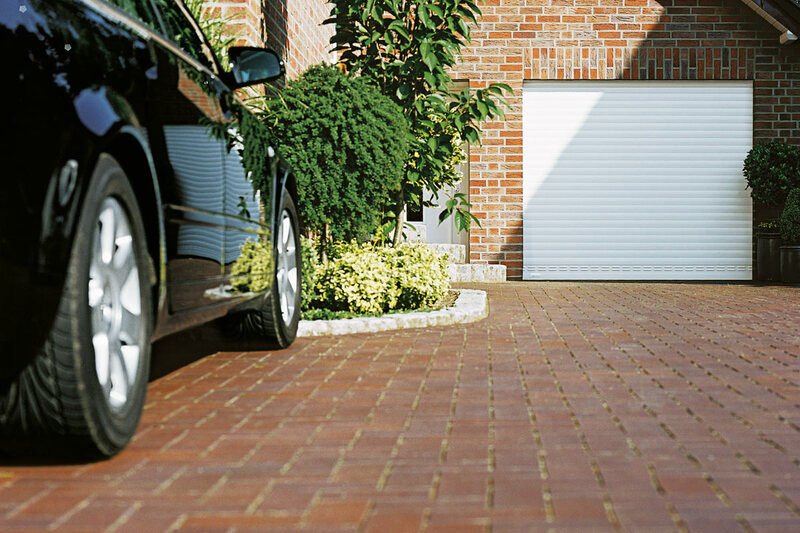 When the sensors detect an obstacle, the closing operation is immediately and automatically stopped. 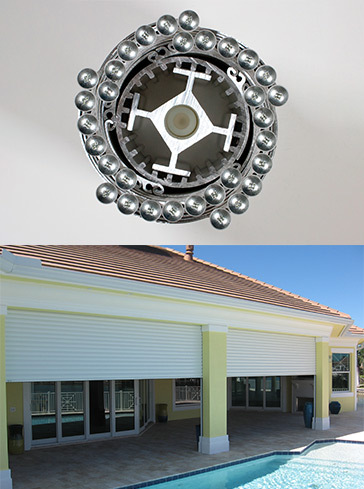 Safety spring assemblies prevent the door curtain from closing unplanned as soon as a force of more than 15 kg is applied to the main closing edge. I think even parking should be a real pleasure. 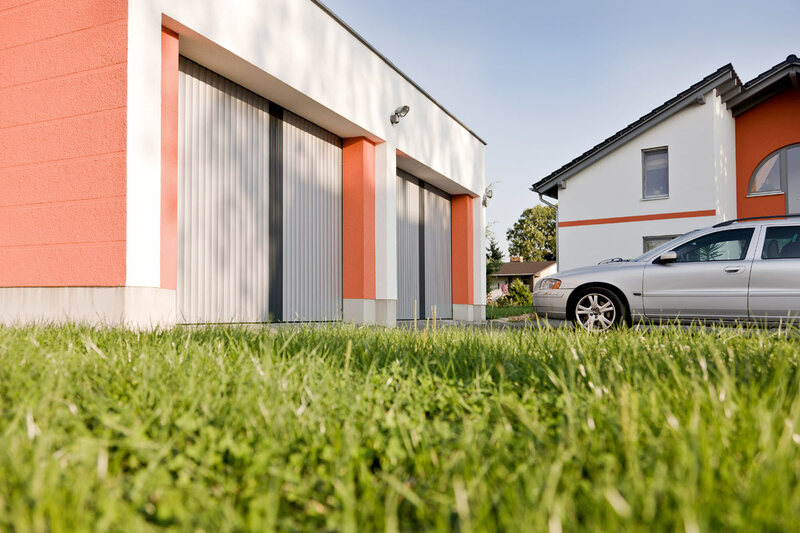 Our aluminium garage doors don’t swing outwards. 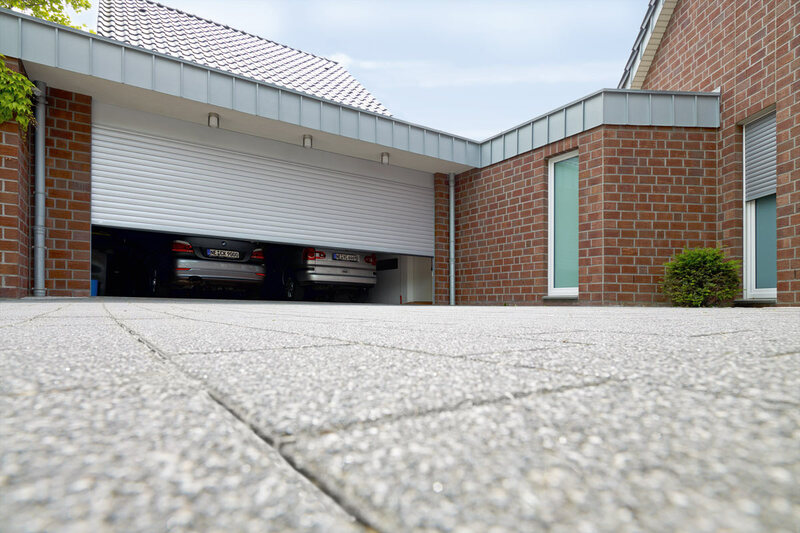 That not only gives you a greater level of safety but also more space in front of your garage – for your second car, for example. 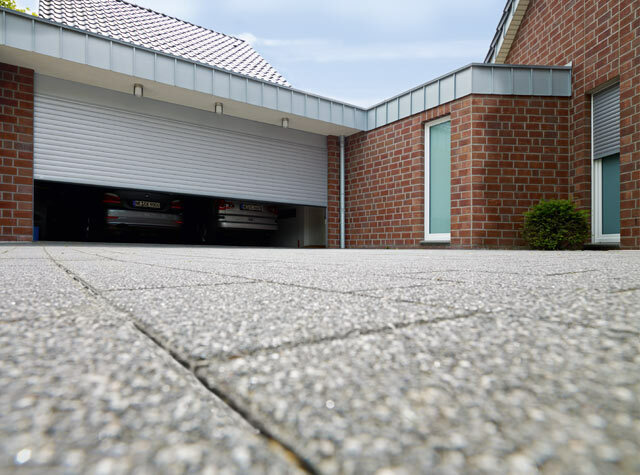 Damage due to the garage door swinging outwards is no longer a problem. 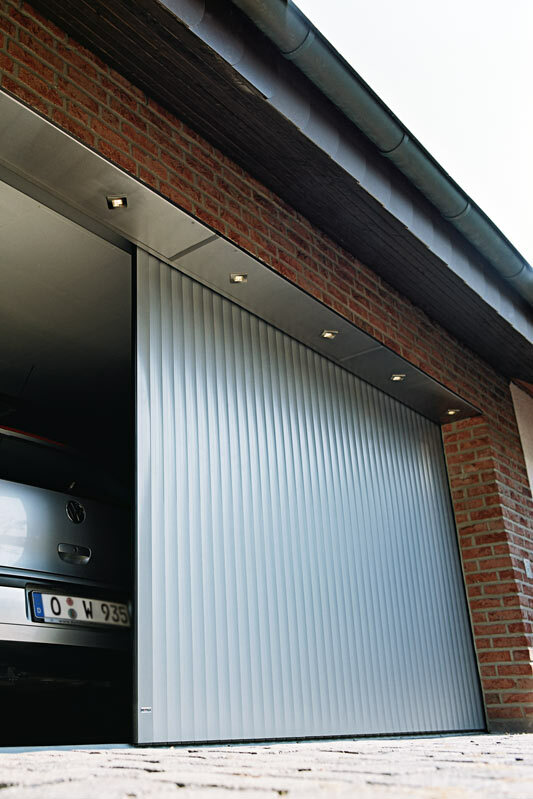 All Alulux garage doors are fitted with a quiet motor and convenient radio-remote control as standard. A light touch of a button is all it takes. 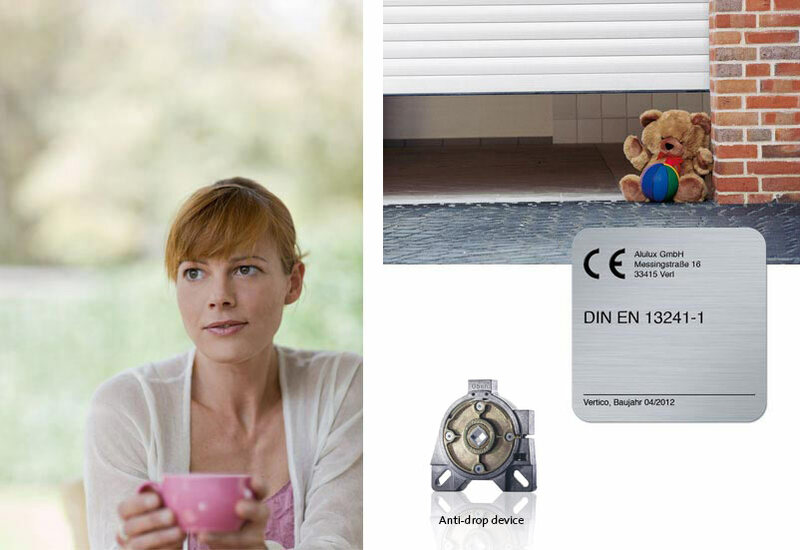 If you need a second remote control, no problem – and we can easily fit a numeric code sensor, too. 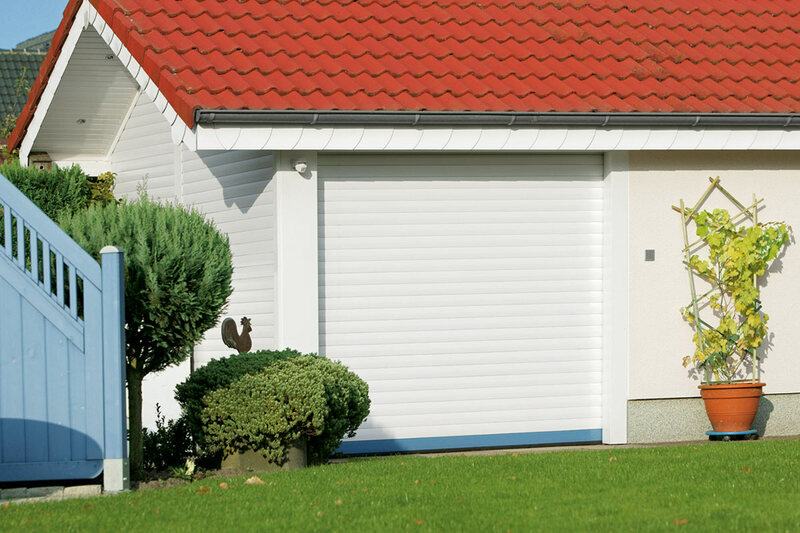 Our garage door motors have an anti-opening lock as standard. 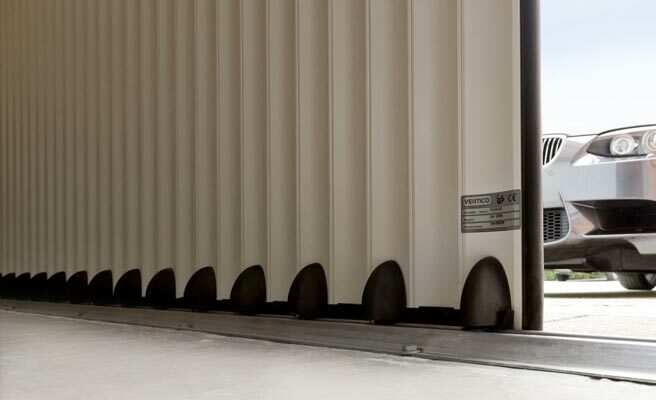 This extremely resilient anti-lift lock really makes it difficult for intruders to get in. 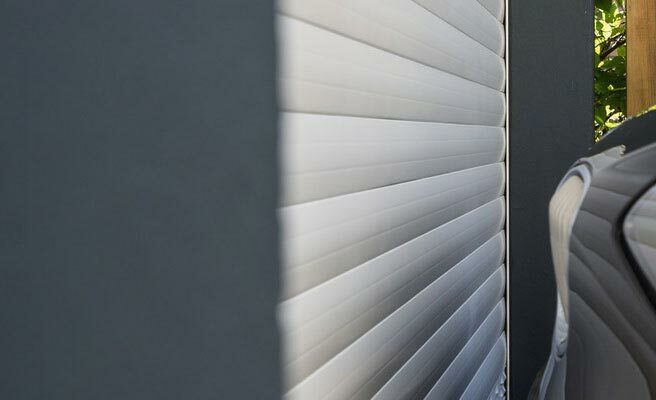 The Qompact door from Alulux offers you higher security and greater protection. Unauthorised access prohibited. 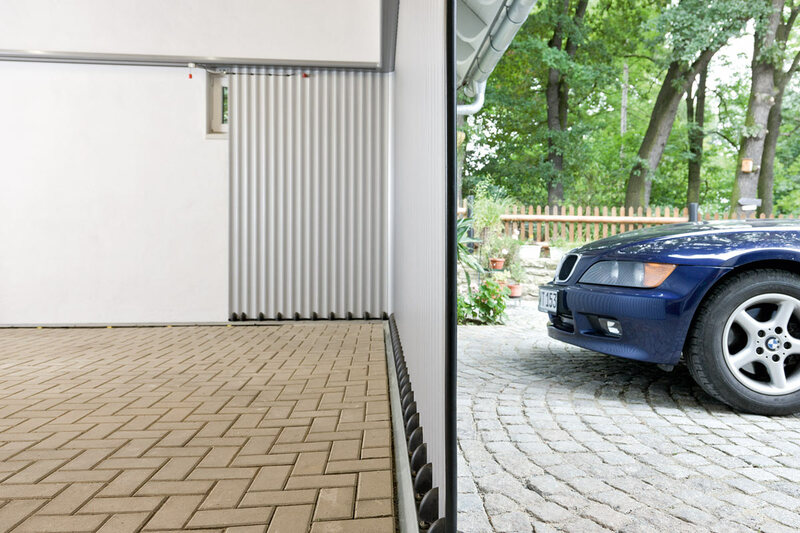 Whether it’s a roller door, a lateral-running door or an overhead door: our garage doors only need a few centimetres of space. 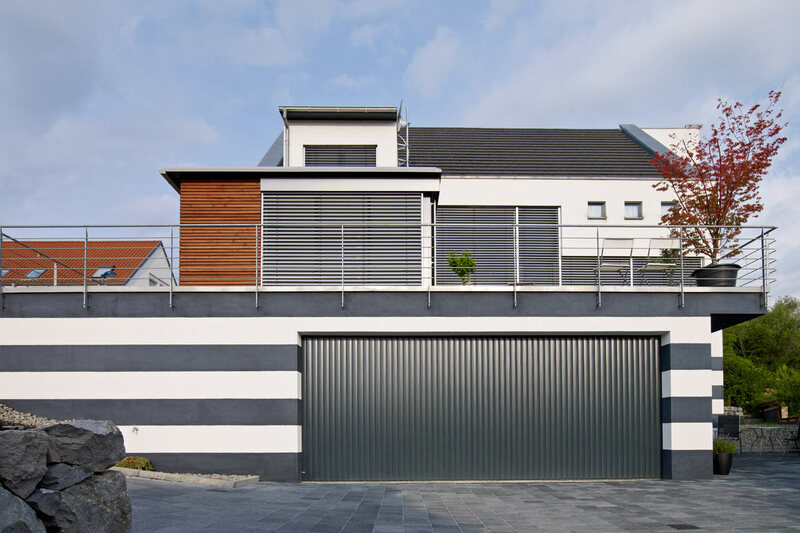 And because Alulux garage doors are manufactured precisely to the required dimensions, optimum use is made of the space. 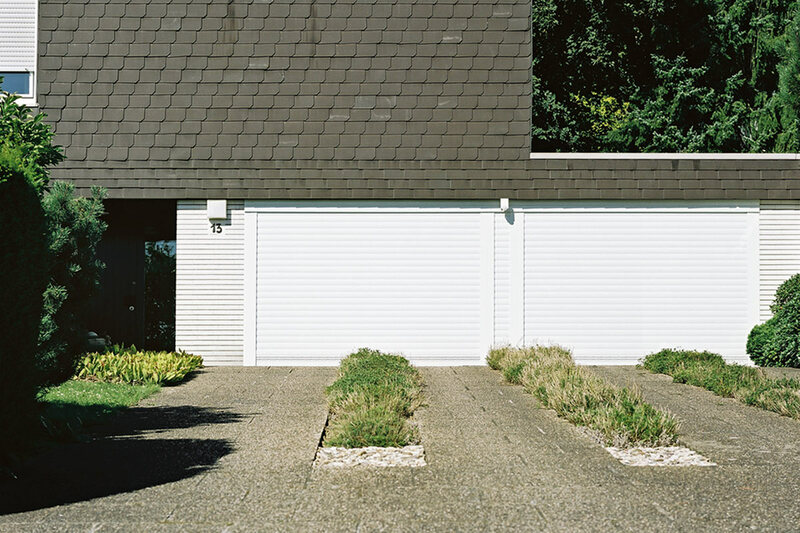 Should your garage door subtly match the style of your building or be a real eye-catcher? The choice is yours. 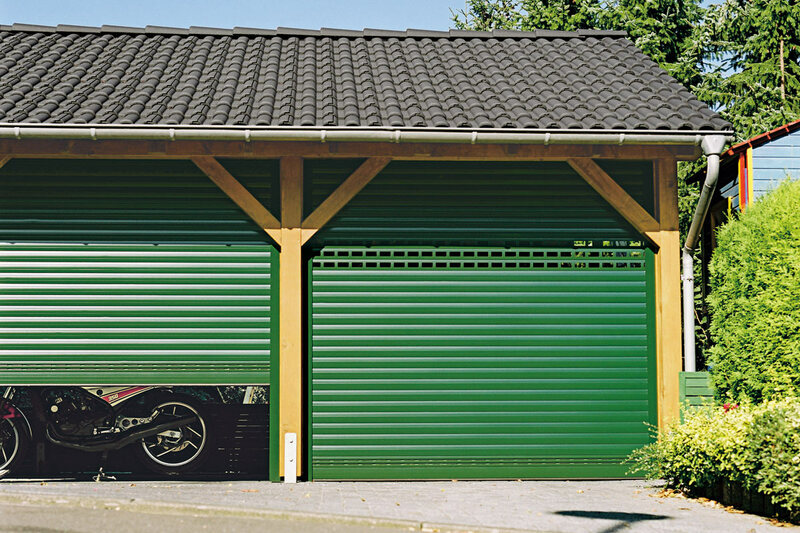 With our wide selection of colours and optional features, your garage door will become a custom element of your home. 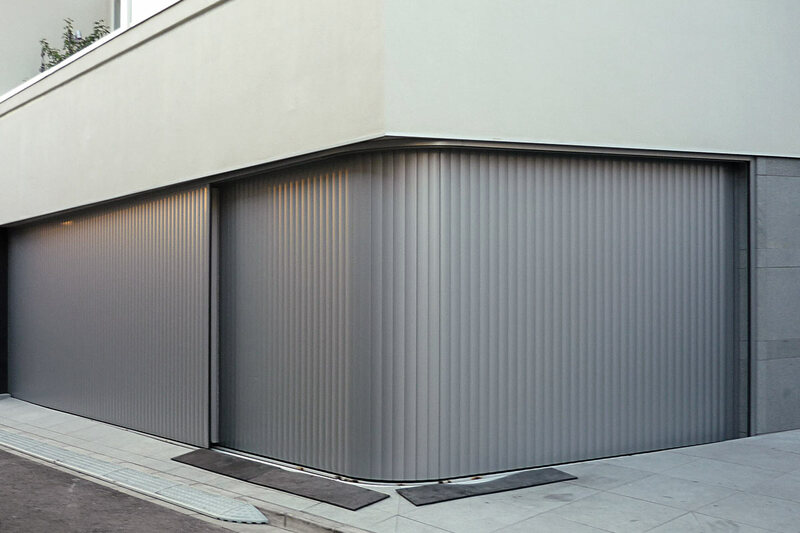 Visit the showroom of your specialist dealer and let us inspire you.